Currently, most of the above curricula and publications are provided in English. Some are also translated into Spanish and Mandarin. Considered the Harvard of Private Service Education, Starkey International is now celebrating its 30th year. Mrs. Starkey began in 1981 by coining the title Household Manager. She has worked diligently her entire career to help create service as a profession; thus, Household Service Management. She brought agencies, international schools, veteran Estate Managers, Butlers, and Military Enlisted Aides together for 10 years at Restoring the Art (RTA) conferences to help grow the industry. RTA has also become Starkey’s Student Financial Assistance 501(c)3 nonprofit corporation. We are proud that our student financing has experienced only a 2% default rate. 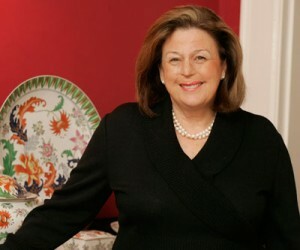 Mary Louise Starkey began Starkey & Associates, Inc. in January 1981, offering housekeeping and placement services. In November 1989, Mary Starkey created Starkey International Institute for Household Management in response to marketplace requests for trained and skilled professionals. Since its first class offering in January of 1990, the Institute has benefited from the presence of old-world European and American Butlers, experienced service professionals, and Household and Estate Managers from the United States and abroad.